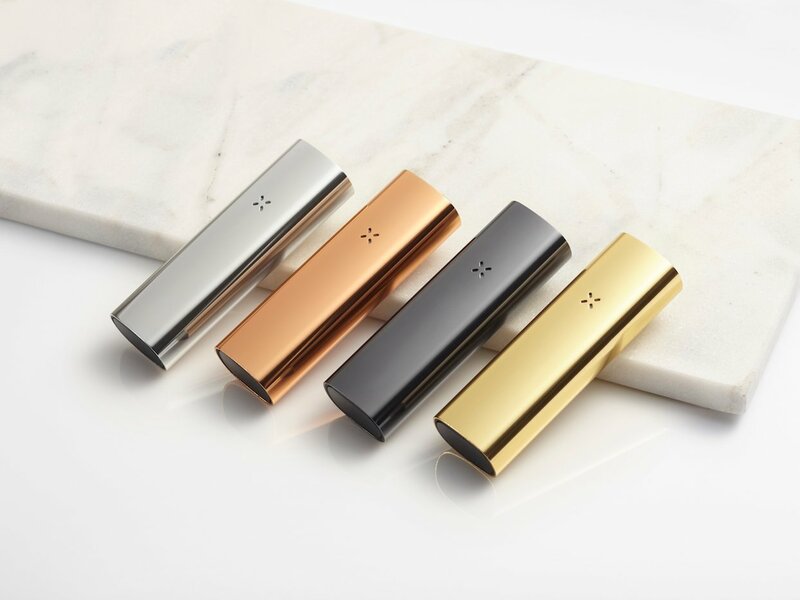 Category Archives for "PAX Vaporizer"
The new PAX Era 2 vaporizer pen system is an innovative device that brings a marketplace community together. The Era pod system is one that allows local cannabis growers and dispensaries to fill the pods with their own sativa, indica, and cbd strains. In this post we look at how the PAX Era 1 has changed the way consumers vape cannabis oils and speculate on what the new PAX Era 2 will feature. The PAX Era is a smart vaporizer that has special features that allow the device to connect to a smart device. Using a smart phone you are able to customize your sessions and design the vaping experience you’re looking for. You can set preferences for potency and flavor strengths with Session Control. You can adjust temperature up and down to precise degrees. You can have an updated device at all times with automatic firmware updates. The PAX Era pods are not filled by PAX (the manufacturer of the vaporizer), the pods are filled by local growers and dispensaries who each produce their own cannabis oils. This is a effective marketing strategy that strengthens PAX’s hold on the vaporizer industry. The outcome of allowing local business’s and dispensaries to also profit off of the refills of Era pods means that PAX has created an army of promoters that want consumers to continue using their devices to up sell their cannabis oils. The new PAX Era 2 is going to have the same advantage as their is already a large number of local companies that support the pod system. You can view a list of the Era pods here, which allows you to sort by location, strain type, price, desired effect, potency and brand. 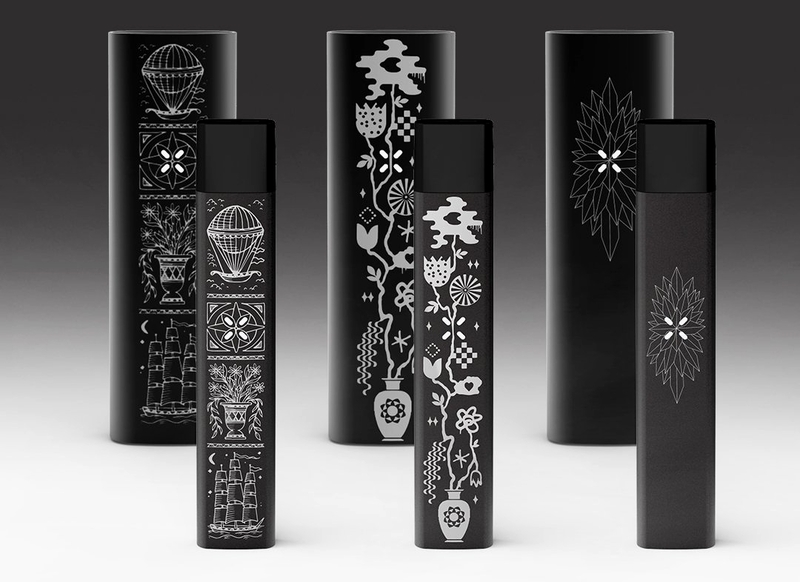 As of March 2019 there are over 450 Era pod options to choose from on the official PAX Era Pod site. The PAX Era is designed to be very precise, highly reliable, and easily controlled so that you enjoy each and every session had with it. It is a seamless process to charge, update, and try new strains. The vapor quality is what one can expect from devices manufactured by PAX. The dual wick system makes way for vapor that is rich and dense. The New PAX Era 2 will produce smooth vapor instantly similar to the Era 1 as there is no waiting time for the pen to warm up. 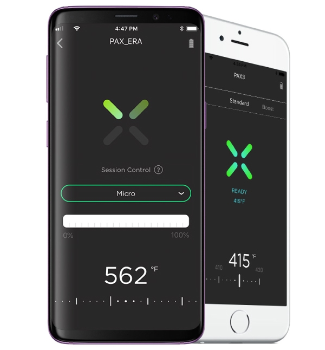 As touched on briefly above the PAX Era temperature settings can be controlled by a smart device. The heating is controlled by an algorithm which helps to automatically adjust the temperature as you take your draws and as the weather around the device fluctuates. The Era 2 wouldn’t be a PAX device without the quarky little games that are built into the device. Similar to the PAX 3 the Era has a few games that you can play by rotating the device in your hands. The new PAX Era 2 will likely resemble the first model and be compact, thin, and made of a very durable scratch resistant outer casing. The model 1 comes in silver, rose gold, gold, and black. 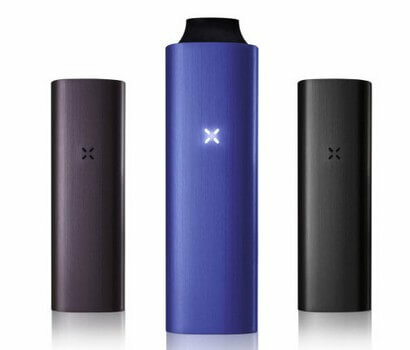 Measuring just 3 inches long, with a PAX symbol that uses full-color LEDs, the Era is a light weight portable oil vaporizer. A top of the line premium grinder has been released by PAX. 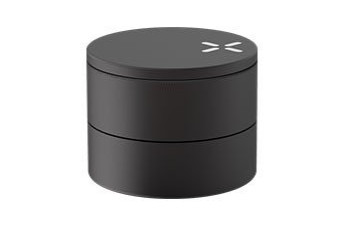 The PAX grinder is available in matte black and as you can see from the product image below looks very simple and classy. The PAX grinder is made using anodized aluminum, has a magnetic lid, crystal catcher, and has the PAX logo on the top side of the lid. If you are currently looking for a grinder that will grind your material perfectly for your PAX vaporizer this is the one. If you are unfamiliar with how a grinder works we'll touch on that here. A grinder is what you use to grind your materials into smaller pieces. The PAX grinder has been designed to grind your material down to a fine material that is great for use with vaporizers. A 3 piece grinder is a grinder that has 3 compartments - the first is the one with the teeth and where you put in your flower/herb nuggets. You then twist the lid to allow the ground up material to fall into the second compartment below. The second compartment has a screen in the bottom of it that allows very very fine crystals to fall through. The crystals fall through into the 3rd compartment and over time you can let this build up. Crystals are very potent hit and can get you quite enlightened. A product that you should consider looking into to keep your herb and crystals as fresh as possible is a smell proof container. Smell proof containers are more important if you are buying larger quantities of weed or if you don't plan on using your supply in a timely manner. The PAX 3 has built in games and works with your smart device using Bluetooth connectivity. PAX is one of the most popular brands in the portable vaporizer industry and continues to be an innovator with each new product they release. Up until now a PAX grinder has not existed, so this new accessory is a great new addition to the PAX family of products. With the PAX Grinder you can efficiently grate material with the tooth design and threading pattern to get the ultimate grind. You can buy the PAX Grinder by visiting the official website and it costs $59.99 US.